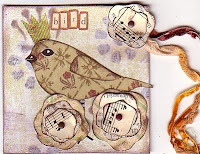 These are funky...chunky bird pages for a 4 x 4 chunky page swap on www.atcsforall.com. 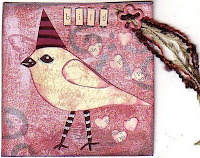 Love those funky chunky birdies! Oh these birds are great! Very nice : ) Was thinking of you the other day, hope you are doing well. Im making a note to myself to photo my Frida doll today! 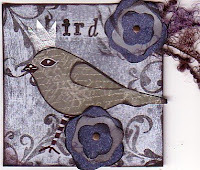 I so love my magnets I purchased form your shop, that I haven't been able to pass them along to anyone. 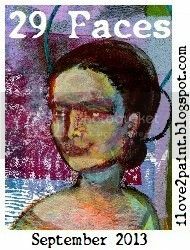 I thougt I would include one in birthday, get well and thinking of you cards. These are all wonderful, but I think my favorite is the red one. oh I am loving the birds!!! They are all lovely Karen...great work! 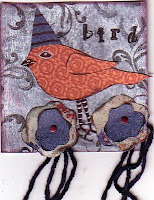 I love scrap birds and all sorts of folk birds!